Spacious, light and airy gîte at heart of the Drôme Provençale, between Nyons, famed for its olives, and the Mont Ventoux. Ground floor: kitchen, living room (sofa, sofa bed), bedroom (two 80cm wide beds OR queen-size bed), shower room. 1st floor (access via open-tread staircase): bedroom (3 single beds). Owner's farm with wine cellar in village. Electric heating (fixed charge: 20E/week). 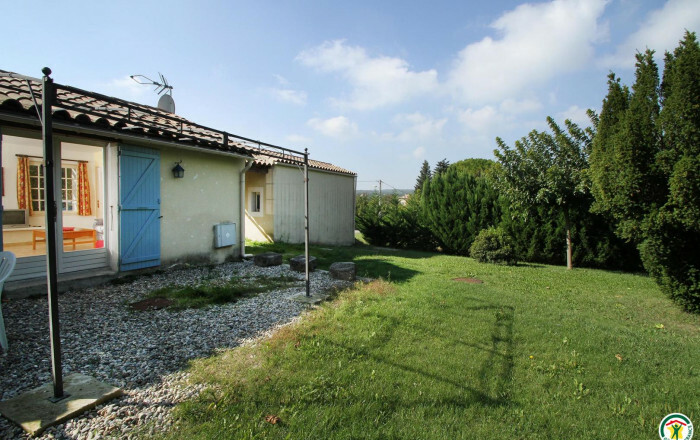 Swimming pool (4.5x3.7m) shared with another gîte, open June to mid September.